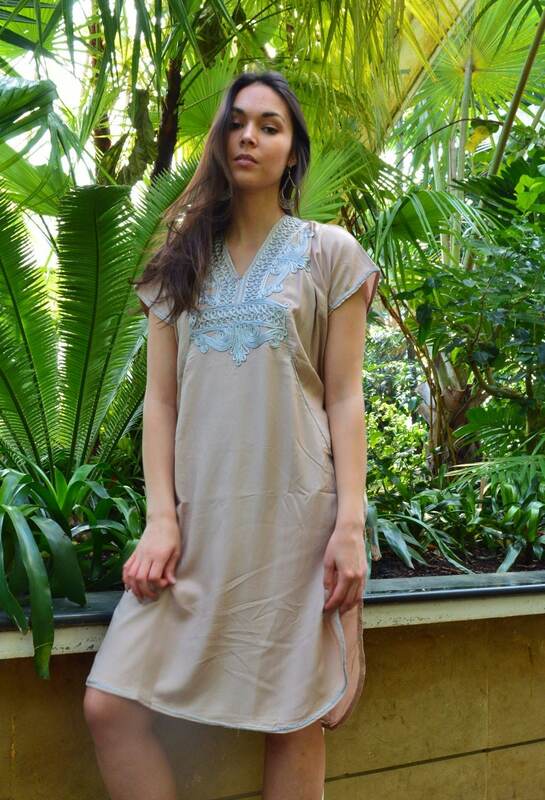 ♥This caftan comes in One size (Suits S-L up to bust 115 cm, 45 inches). This is the same as our original 'Turquoise Blue Long Kaftan', but we've created a short version of this for a more modern & trendy look. Enjoy! This is a shorter version of the other long Marrakech Kaftans and usually goes up to the knees.